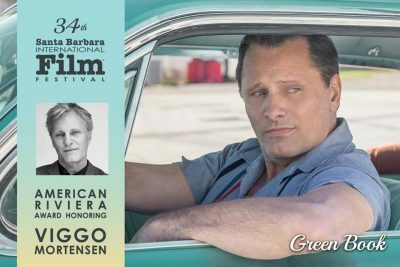 Mortensen will be recognized for his many attributes to the art of film over the years, and most recently, his work in Participant Media and DreamWorks Pictures’ Green Book. Prior recipients of the award include Martin Scorsese, Robert Redford, Quentin Tarantino, and Jeff Bridges. The award will be presented during the 34th annual Festival, which runs from Jan. 30 through Feb. 9, 2019. The presentation ceremony will take place Saturday, February 2, 2019, at 3:00PM. See details and ticket information on the SBIFF Facebook page.